Do I sound like a three year old yet? I could make that little fox pendant all day! I love simple jewellery. Thank you, Cyndi, for the review and the giveaway. I've posted at my blog about the giveaway. This looks like a cute book. I'd like a chance to win it. I have a friend just learning to bead with her daughter and this would make a great gift or something for the 3 of us to share together. Sweet! I am all about cute! What a great giveaway! I love this theme and this must be a wonderful book! 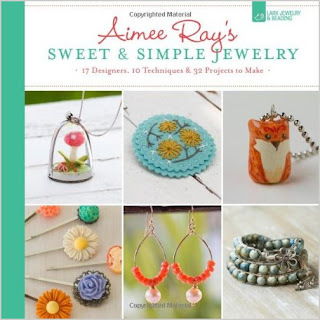 This would make a wonderful addition to my Beading Library! Please pick me!